Critical Ecosystem Partnership Fund (CEPF) is a joint program of l'Agence Française de Développement, the Global Environment Facility, the Government of Japan, the MacArthur Foundation, the World Bank, and the Conservation International. Our goal is to engage the civil society in biodiversity conservation. CEPF has been working in India since 2006. We have been supporting work in the Eastern Himalayas and also in the Western Ghats. Within both of these regions the focus on the conservation of amphibians has been very important, particularly in the Western Ghats. Of the 66 lost amphibians of India, more than 50 of these are found in the Western Ghats, and many of these species have not been recorded for many decades. Through the work of the researchers involved in the search for the lost amphibians of India and campaign, I hope that many of these species will be rediscovered which will enable us to take action for their conservation. CEPF is very proud to support the Lost! Amphibians of India campaign and we encourage that all, and amphibian researchers, and conservationists in the Western Ghats to support these efforts and to work collaboratively towards rediscovering many of these species so that we can take the actions that is needed to conserve them. 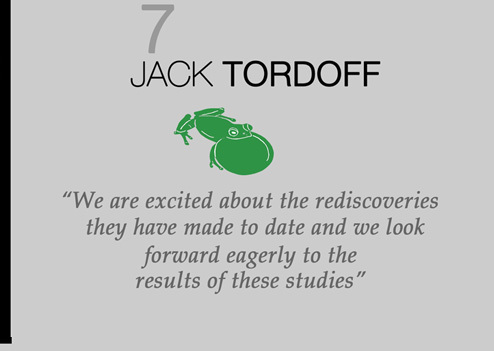 We are excited about the rediscoveries they have made to date and we look forward eagerly to hearing the results of these studies.